Ready to make a donation? Choose how you wish to make your contribution and make a difference to those with Autism. Donations are the simplest and most effective way to support the work undertaken by the Autism Association of Western Australia. Any donation of more than two Australian dollars is tax deductible. Please choose the option most convenient to you from those outlined below. To pay via your bankcard, Visa card or Mastercard please use our secure online credit card donation facility. To send a cheque or money order, please make it payable to the Autism Association of Western Australia (Inc) and post to Locked Bag 2 Subiaco Western Australia 6904. Alternatively phone our office during business hours on (08) 9489 8900 to make a donation via telephone. When you are organising a fundraising event, we encourage you to make use of the Everyday Hero website. There are fantastic tips and resources for fundraisers, such as an easy online donation form for your supporters when you create create your own fundraising page. The blog feature means you can share your efforts through posts and images. Make sure to share your Everyday Hero posts on your social media pages with the quick links as well. 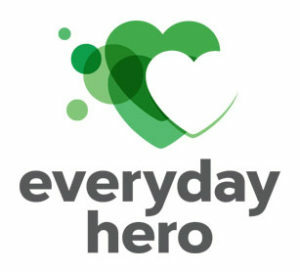 Visit the Everyday Hero website. Visit the Everyday Hero blog for tips and information. You can download a copy of the Support Their Dreams Brochure if you would like to give it to your employer or community organisation to discuss supporting our work. Another simple way to help us is to make regular donations every month, quarterly, half yearly or annually from your credit card. Contributing regularly allows us to plan services based on the commitment you and others make to us. To make it easier for you at tax time, you will receive a receipt at the end of each financial year showing all of your contributions. You can change your automatic donation immediately at any time by simply contacting us. Please contact us on (08) 9489 8900 if you are interested in becoming a regular supporter or simply print out and fill in the form below. We sincerely thank you for your support. A novel way to make a contribution is to ask friends and families to make a donation instead of buying you gifts, if you have a special celebration or milestone coming up. If you would like to support us in this way contact us on (08) 9489 8900. We sincerely thank you for your support. A bequest is when you make a gift through your will. Gifts can be large or small but in this way you can make difference into the future. You will be making a lasting contribution to others and helping us deliver on our mission. A specific asset of your estate, such as property, shares, art, jewellery, or items for fundraising prizes. The part of your estate, that remains after specific and general bequests to family, friends and other organizations have been made. To find out more about bequests, please contact us on (08) 9489 8900 or see our brochure on making a bequest in your will. One of the most cost effective and easy ways to donate is to set up a regular donation as part of your payroll deductions. Your deduction will be made pre-tax, thus providing an immediate benefit to you in the form of a tax deduction. The Autism Association of Western Australia is approved to receive tax deductible donations by the Australian Tax Office. Ask your employer or payroll department how you can make a regular payroll deduction. You are able to change these arrangements at any time. Please contact our Fundraising and Membership Coordinator to discuss any of the options outlined above or to find out more about making a donation.